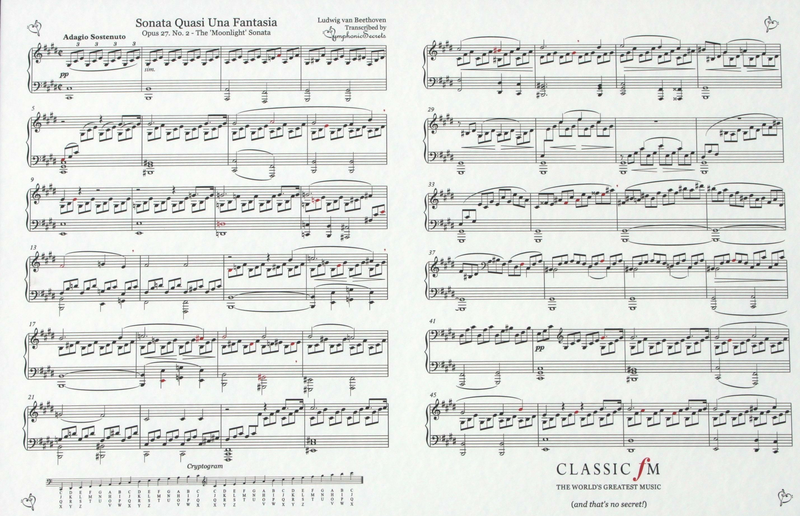 Can you find the cryptic message hidden in this Beethoven sonata? With the help of 'Symphonic Secrets', John Suchet has encrypted a special message in the score of one of Beethoven's most famous sonatas. The challenge for you is to find it. Are you the sort of person who loves taking the crossword or Sudoku while listening to great music on Classic FM? Well, today you can combine the world's greatest music with your love of a cryptic challenge. 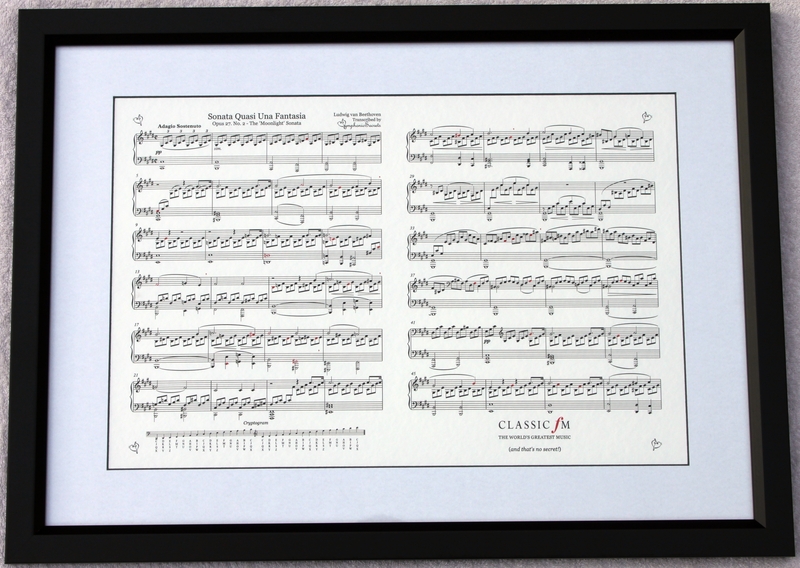 Symphonic Secrets is a new company in the UK that creates cryptic messages within beautiful scores of classical favourites (for those special, meaningful or romantic messages for the music lovers in your life). A stunner isn't it? Click for a bigger view, and print it out if you can. Next, find the notes marked in red in the score and match them to the letters in the cryptogram. If you need it, there's more help in understanding the code here. All you need to do is put your thinking cap on, get out your pencil, find those red notes, and the letters attached and decode John Suchet's message. If you think you've found it, text John on 61812 or email him here. Beethoven, with a hidden message - from Symphonic Secrets. Our thanks to the team at Symphonic Secrets for putting this together. If you fancy your very own score, with your very own hidden message, visit their site here.